Here at HD Surveying, we understand all aspects of briefs ensuring to pay extra care and attention to guarantee all the necessary features are covered, in all fields of work. Once all the data has been collected in the field, our talented team will then carefully go over and finish the final plan in our office, aiming to meet all your specific requirements. Engineering surveys are in many ways the opposite of land surveys! Throughout all stages of an engineering survey, precision is critical! However, it is also equally important to liaise with both designers and clients. Here at HD Surveying, we make sure all work is carried out in accordance with long-established ‘best practice’ and our quality procedures which have been accredited by ISO 9001 : 2008. We ensure all work is thoroughly checked and all clear records are left with the client of all the work that has been undertaken. If required, plans can show as much or as little detail as possible. However, a typical plan would normally be produced at a scale of 1:200, as this shows all the surface features, overhead cables and services – these are all identified wherever is possible. Level spacing and contours will be shown as specified by you, as we supply finished plans in an array of file formats or printed as a hard copy. What would we do without roads? With more and more roads being built and with existing ones being improved or made wider, road surveyors are needed. 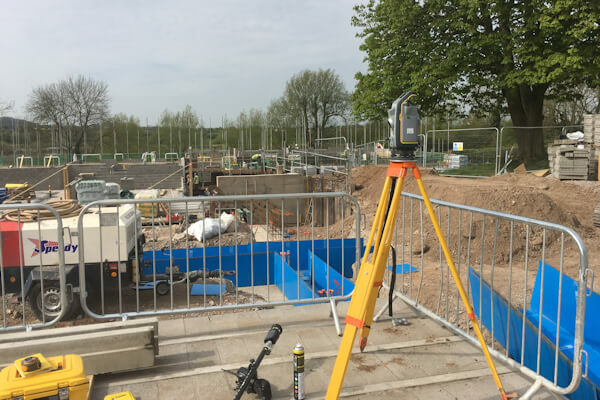 Having many years of accomplished experience in road surveying, we can provide a complete service from an original topographic survey which is of the existing land, to a final completed survey ‘as built’ – as well as complete surveys of anything in between. As requested by the client, our dedicated team are more than qualified to work on both local grid and the OS National grid using GPS observations. By having the latest range of GPS equipment and processing software available, enables us to provide fixed control solutions which are covered over large areas, as well as a tie-in to any previous survey control which has been placed by others. For any further information, call the talented surveyors today on 01782 715 565.